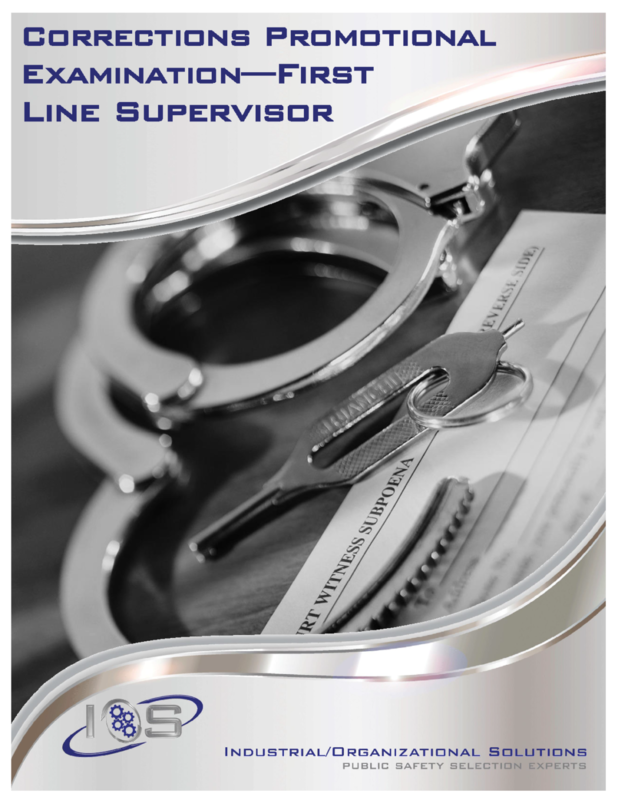 The Corrections First Line Supervisor Exam was developed through collaboration with experts in the field and writings dealing with supervision, administration and operations in correctional settings. Critical areas that are tested include administration and operations, human and group behavior, constitutional law, ethics, personnel management and supervision and inmate management and supervision. The Corrections First Line Supervisor Exam produces results that will save time and resources by finding the candidate that is the best fit for promotional opportunities.